So you’ve taken that leap of faith and decided to become a host family. And now you’re wondering what on earth you’ve gotten yourself into. If this sounds familiar, first of all, don’t panic. It is entirely normal to have some jitters about this new adventure… and the good news is that these jitters are no indication of just how amazing your experience is going to be with your foreign exchange student as a new part of your family. 1. Be upfront about expectations and house rules. You may not think that you have a lot of strict rules in your home, but sit for a moment and think about anything that would disrupt your home life in any way. For most families, a curfew is a vital part of host family success. Be sure to go over house rules and expectations in interviews with students. This will help to ensure that there isn’t any unnecessary friction once they arrive at your door. It can also help you to make certain that you find the best fit for your family. 2. Stay in touch with your new family member before their arrival. Let’s face it – this experience is going to be a little uncomfortable for both of you for the first week. You can lessen that feeling of the unfamiliar by staying in touch with your student before they arrive. This will not only help you to feel more at ease with welcoming a stranger into your home, but it will also help them to feel less nervous about traveling alone to a distant country. 3. Let your children know a little of what to expect. This may be difficult if you yourself don’t know exactly what to expect, (don’t worry – we have tons of articles to help you out)… however, it is important to speak with your children about the changes that will take place in your home. This will help them to get more comfortable with the thought of having someone new around to help to provide them with care. 4. Go ahead and figure out the taxation on their pay. It can be a little confusing to try to figure out how to pay taxes on the pay of your au pair. For this reason, it is a good idea to speak with a tax expert ahead of time to help get the ins and outs settled before your student’s arrival. This will help to keep you out of hot water with the IRS, and it also will prevent any unnecessary headaches in the future. 5. Know the limits of labor. Before your student arrives, go ahead and become familiar with the limits on au pair labor. (Bet you didn’t think about that, right?) In the U.S., for example, an au pair can be required to work for up to 10 hours a day, but no more than 45 hours per week. 6. Read up on the student’s home country. While you are bound to learn a great deal about the student’s home country once they have been in your home for a while, it can help make their travel easier if you take time to learn about where they are from. Knowing the customs in their country can help you to connect with your foreign exchange student. 7. Ask your au pair about allergies and other important details. You will also want to learn any other important medical information that you may need to know to ensure the health of your au pair. Learn about these health concerns by doing a little research. As the host family, it’s up to you to make your foreign exchange student feel welcomed and comfortable in his or her new situation. You’ll find this much easier if you are tolerant of your guest’s feelings, culture, traditions, and norms. 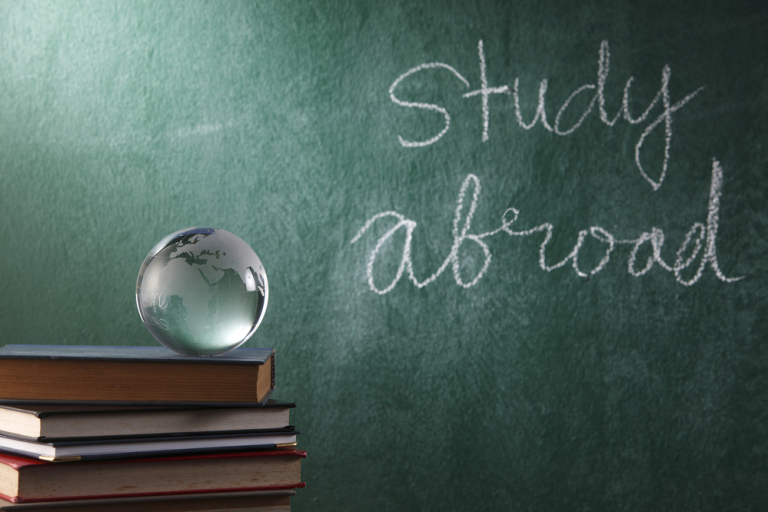 Hosting a foreign student can be a two-way exchange. You can learn just as much from your guest as he or she learns from you. By learning to appreciate cultural differences and norms, you can develop long lasting friendships that continue long after the foreign exchange program is done. 9. Help Make Things Happen! If your student comes from a totally distinct cultural environment, he or she may desire to partake in local activities and events not offered back home. As the host family, you can help make things happen, giving your student happy memories of his or her time in the U.S. For many students, visiting the U.S. on a foreign exchange program is a dream come true. Any effort you make to give your student an enriching experience will leave him or her with a positive impression to share with others back home. Hosting a foreign exchange student comes with its share of challenges. Things may not always go as you hope or plan. By staying positive and making the best of all situations, you can overcome “snags” that threaten to put a damper on your venture. Look for solutions to difficulties as opposed to placing the blame. When problems arise, your student will look to you for help and guidance. By showing you care about his or her welfare as a parent, you can often diffuse difficult situations before they get out of hand. Every household has rules, whether you’re hosting a foreign student or not. Be sure your student knows the rules and is willing to abide by them. Having boundaries may even help your foreign exchange student feel more secure in a strange, new place. If you have teens at home, your family may have strict rules about meals (i.e., timings, use of devices, cleanup, etc.) that can help your student integrate easier into your household. For older college-age students, you may need to adopt some rules to accommodate a more independent lifestyle. By being willing to give and take, you can make your situation work without compromising your family’s standards. At some point in time, your foreign exchange student may begin to miss home. Homesickness shouldn’t put a damper on this adventure of a lifetime. There are various ways to battle homesickness so your student can continue to enjoy his or her time with your family. Sometimes incorporating local cuisine or customs from your student’s home country into your household helps them feel more at ease. 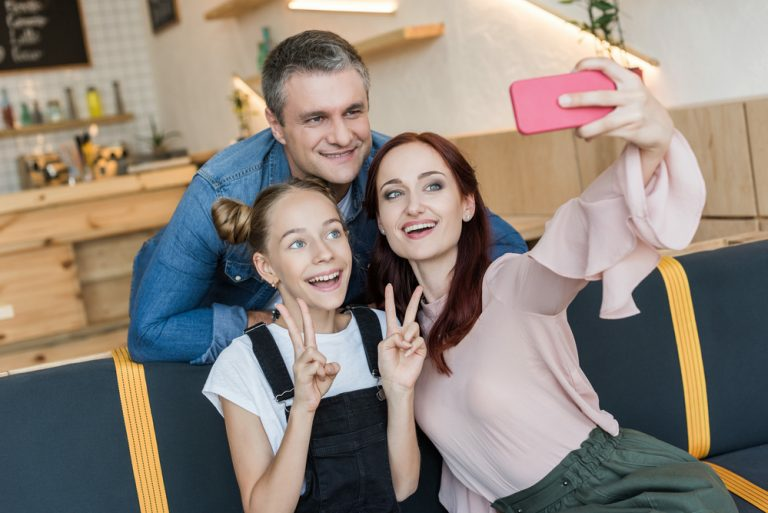 Show interest in learning more about your student’s family and friends back home and encourage him or her to stay in touch with loved ones, so he or she doesn’t feel completely cut off. No matter how eager your foreign exchange student is to get involved in his or her new situation, there will be times when he or she simply needs to be alone. If your student doesn’t have his or her own room, try to create a quiet place in the home or yard where your student can have some “down time” on his or her own. Young people naturally value their privacy – how much more so when living in a foreign country among strangers for the first time. Having a quiet place will make it easier for your foreign exchange student to catch his or her breath when necessary and adjust to all that’s going on. Here’s an anecdote of how powerful a foreign exchange student can really be. Tachikawa and San Bernardino exchange students show their solidarity with the rest of the world in praying for a stop to all the hate, anger and hopelessness that is pervasive in real life and even more so in social media. Japanese foreign exchange students Aina Kobayashi, Kaho Moriyama and Miku Takahashi, all from Tachikawa, Japan, and Jake Tivey, a native of San Bernardino were at the Humane Society facility in San Bernardino on Wednesday to paint stars of hope. The three girls are student ambassadors from the San Bernardino-Tachikawa Sisters City foreign exchange student program, a program that allows senior students from both cities to exchange places and learn about each other’s culture and way of life through immersion. Jake has just returned from Tachikawa and is also currently hosting a Japanese exchange student. Lynn Hildebrand, who teaches at the humane society and a passionate supporter of the Stars of Hope program, says that the message of the Stars of Hope is amazing. “These little pieces of wood can change a life,” she has said. According to her, with all the hate and negativity that seems to surround the world, these 12-inch wooden stars are a surprisingly effective antidote, melting hostility, anger, and rage so that love, compassion, faith and respect can flourish in their place. Kaho decorated her star with painted flowers on a pale blue background, along with the Japanese word for ‘love.’ Aina decorated her star with swirls of yellow, orange and pink, while Miku chose the Japanese word for ‘smile’ to decorate her star. Tivey chose to paint his star to look like earth, complete with blue oceans and green landscapes. Painting these stars hold a special meaning for the Japanese exchange students since they also learned that Kansas kids painted Stars of Hope that brightened Kesennuma on the first anniversary of the tsunami. These stars have been shining brightly all over the world, over countless places that have experienced destruction and loss. The stars shone brightly even amidst the destruction in Kesennuma after the March 2011 earthquake and tsunami that hit Japan. Japanese schoolchildren who survived the tsunami passed on the message of goodwill, hope, and compassion by painting stars that eventually made their way to other places, like Breezy Point, NY. Children from Breezy Point who survived Hurricane Sandy painted Stars of Hope that made their way to Newtown, Connecticut. Countless other stories of stars created by children from various cities around the world lighting up places visited by terror and destruction, natural or man-made, speak of the power of these simple, wooden stars to give light, hope, and love in places that desperately need them. Stars of Hope is a project of the New York Says Thank You Foundation and has done countless projects in Japan. Suzanne Bernier was delivering stars in Japan when news of the London terror attack broke. Because she had some blank stars with her, she made a quick detour to London before making her way back to San Bernardo, her way of bringing back hope full circle. The Stars of Hope project started with the Parness and the Groesbeck families. The Parness family lived in New York City and thought of the project as a way to pay forward all the love that the city received after 9/11. The Groesbecks from Texas thought of the project to pay forward the support they received from New York Says Thank You, volunteers, who helped rebuild their home after a devastating tornado. Graphic designer and artistic director Fran Sheff-Mauer remembers the first time she came to San Bernardino to hang painted Stars of Hope on the memorial at the corner of Orange Show and Waterman after the attacks on December 2, 2015. One of the best things that the stars create, according to her, are the connections forged between children all over the world who have experienced loss, tragedy and pain, and the chance to share kindness, compassion, encouragement, and goodness, from San Bernardino to Palestine to Israel. Another volunteer said this of the wooden, 12-inch stars: they bring out a sense of calm after the storm. They stand out against destruction, showing the precious goodness of humanity. Through the San Bernardino-Tachikawa student exchange program, the Stars for Hope brings the message of hope, courage, and compassion back full circle to the city, as these Japanese students paint stars that will shine a light to other cities that need them. There’s nothing like hosting a foreign exchange student to expand your horizons and give your family a taste of the world around them. As a host family, you have a wonderful opportunity to make a positive difference in the lives of young people from countries all over the world. By planning ahead, you can make this a truly memorable experience for everyone.